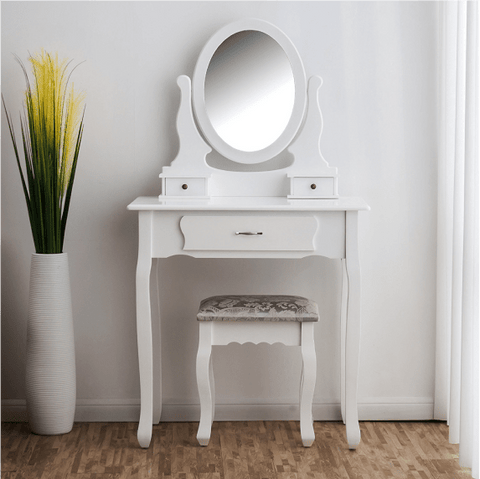 Stunning black dressing table with 3 way mirrors and a jacquard cushioned stool with beautiful floral detailing. Large 3-way mirrors give a triple mirror effect to suits your need. Quality painted MDF, easy to wipe clean with soft cloth. Flat pack and easy to assemble. Only part assembly required. 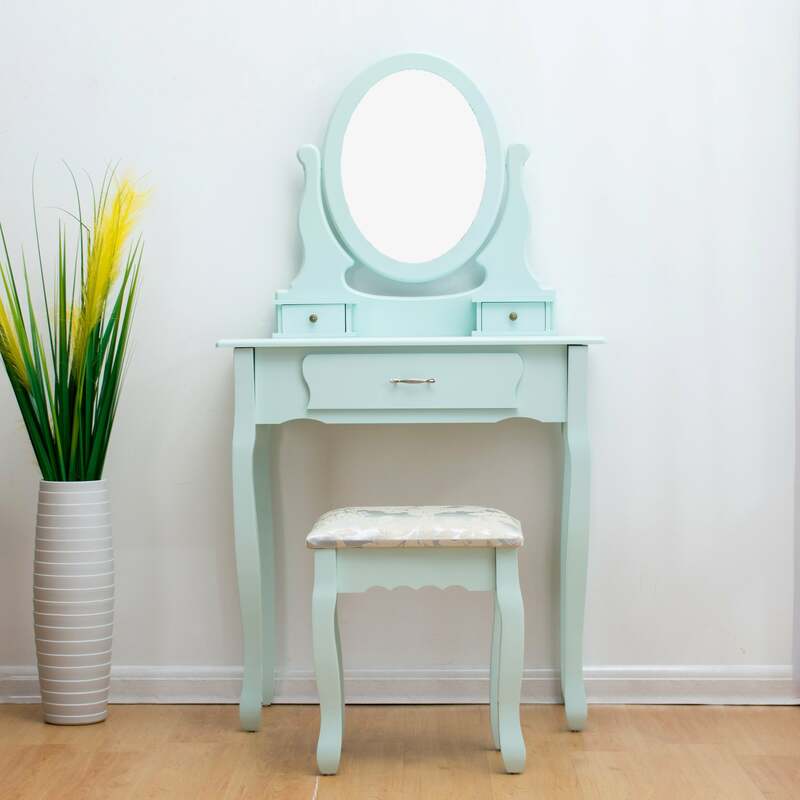 Dressing Table with Mirror: ( H x W x D) 130 x 75 x 40 cm. Stool: (H x W x D) 43 x 38 x 28 cm.